Thanks for all the love on my last post! I don’t stay ‘down’ for long and was in good spirits soon after I wrote it. Thankfully. I did however have tons of work last week and decided to take the week off to focus on that. Also, I officially asked my bridesmaids to stand with me on my big day in April and Im sharing how I asked them on Wednesday – stay tuned. Anyway on to today’s post. If you’ve spoken to me for more than a minute then you know I love to travel. As much as I love to travel though, I will be the first to admit that travelling can get pretty expensive since things add up quickly. 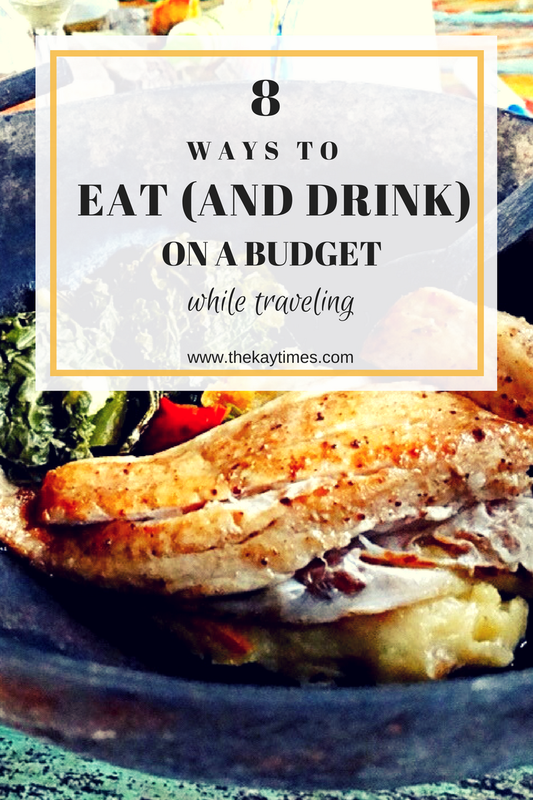 My budget brain tries its best to find ways to got costs and I’ve found that cutting costs on food and drinks can majorly affect the travel budget – in a good way. 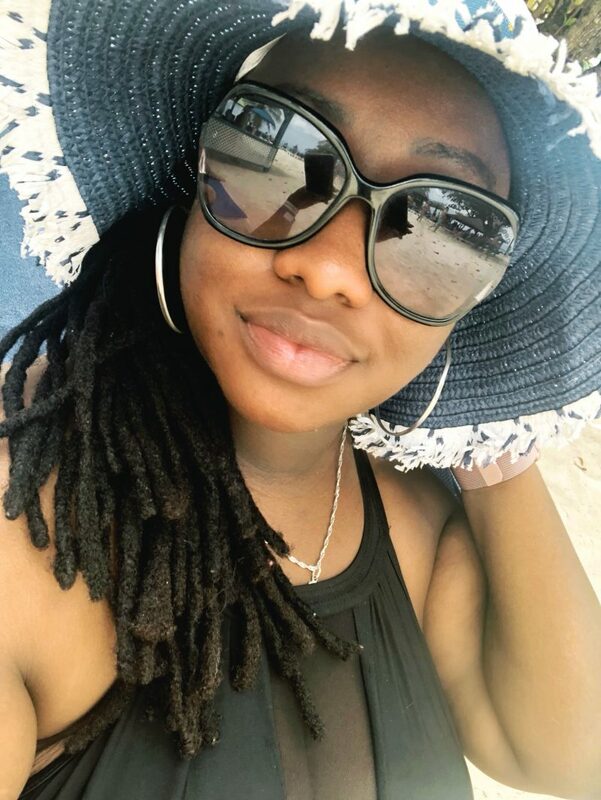 Coming off of the last two trips I took (Guyana and Barbados), and with my trip to Romania and Germany coming up in a just over a month (we leave on the 16th December) I decided it was time to share some of my tips and tricks for eating and drinking for less. Most of these are no brainers, but I’ve found that employing at least some of these really helps. Not every country or city will have all inclusive or breakfast inclusive options, but where possible, it is a perfect way to save money on food and drink on vacation. Bonus points for the convenience of not having to look for food. Whether it be a hotel, Airbnb, vbro or an apartment, if you stay at a place where there is a kitchen so you can cook your own meals, you can save money. I tend to go to Barbados once every year (though Ive skipped a couple years) and have done this several times. On my trip to Australia in 2014, we used an Airbnb when we stayed in Sydney for my cousin’s wedding. I can’t tell you how much money we saved by just eliminating breakfast since we cooked instead of eating out. This wouldn’t always be possible (or lets face it, desirable) but when it is, this is a perfect way to save money. Two of the three weeks that Danny and I will be in Romania, we will be spending it with at his parens house. It saves money and bonus, we get to be with his family, which I’m truly excited about. Eating local food, in non-tourist areas is cheaper than eating from restaurants and bars that cater specifically for tourists. 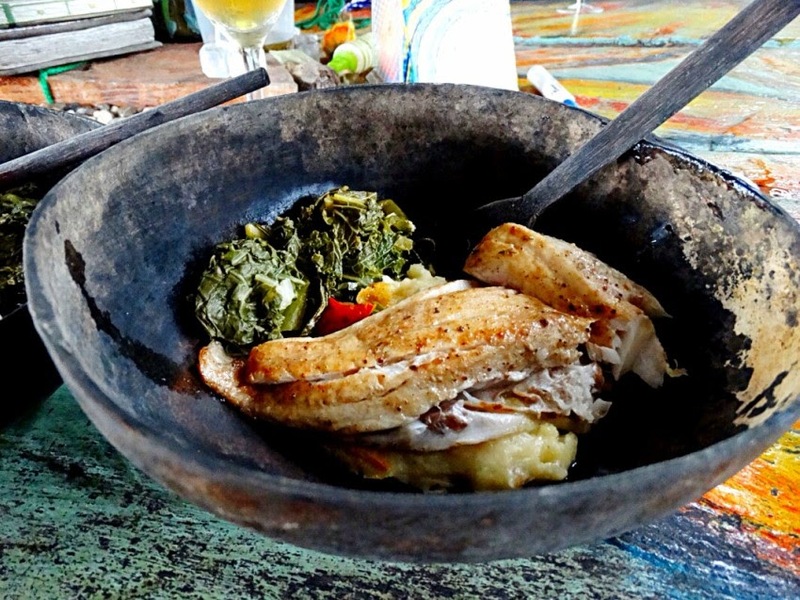 The bonus for this one is you get to taste local culture, which is one of my favourite parts of travel. Similar to the above (but slightly different since you can find food trucks in tourist areas and its not always local food) is eating street food while traveling. Quite simply, street food is typically cheap and yummy. A good example of this for me is Barbados – the most popular tourist spot in Barbados is called “the Gap” and there are the best street burgers you will ever find. I promise eating that burger over eating at a restaurant will get you more bang for your buck since food is notoriously expensive in Barbados. This is a no-brainer! Two for one drinks. While you’re at it, get some bar food. Cheap and does the trick. I always pack a couple snacks in my carry on so that on the off chance that Im unable to eat for a while when I land, I have something to munch on. Well, this works to also eliminate food costs. Packing protein bars can mean not buying breakfast. Packing your favourite snack can mean not spending on lunch or dinner, play with it. Search online for cheaper restaurants, food deals and festivals where food will be sold. This is a solid way to make sure you save and you can search these even before you leave for the trip. ** UPDATE – Because I genuinely want this post to be helpful, Im adding a bonus tip that one of my blogger friends Biana commented on this post – sharing food! Guys portion sizes are almost always too big. Danny and I routinely share food and man is it ever a good way to save money. Love this tip! Eating on vacation is one of my favourite things to do and it doesn’t have to be expensive. Create a travel budget and enjoy your trip without worrying about food expense. I hope these help!